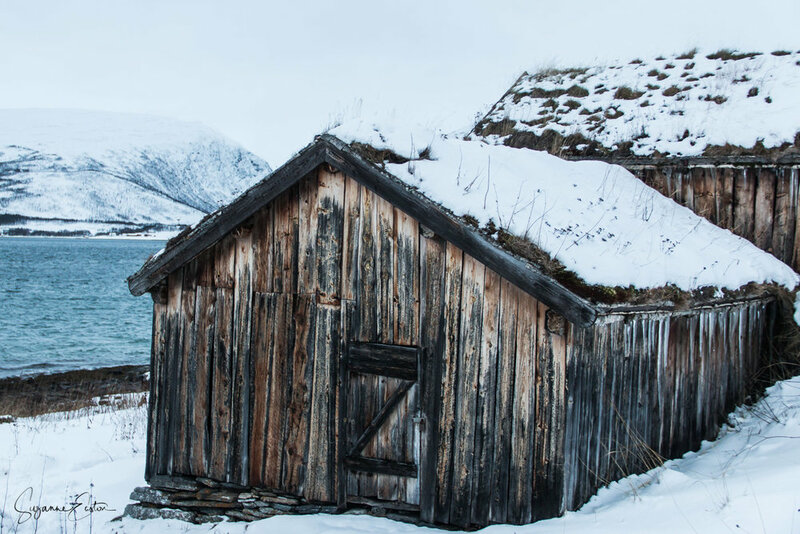 On the shoreline in northern Norway lies the traditional wooden farming village of Straumsbukta with the nearby Straumen Gård, now part of the Perspektivet Museum in Tromsø. 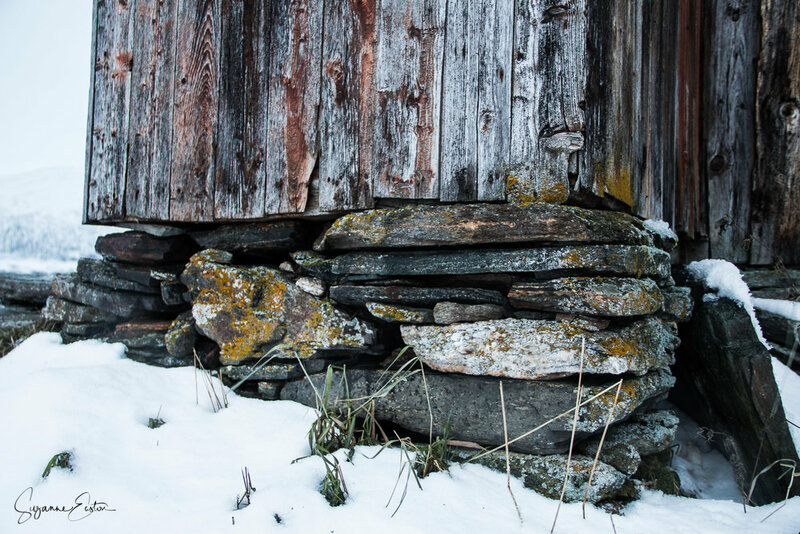 Close to the beautiful village of Erdsfjordbotn this wooden insight into life is rugged and stunning. With 10 listed buildings from the 1850's it stands on the freezing shoreline. The wind was howling and snow driving across the fjord as we headed towards the farm. The only signs of life were the reindeer grazing on lichen beneath the covering of snow. Balanced on the edge of the fjord a collection of homes, made of birch from the 19th century stand around a central courtyard, blending in with the landscape. 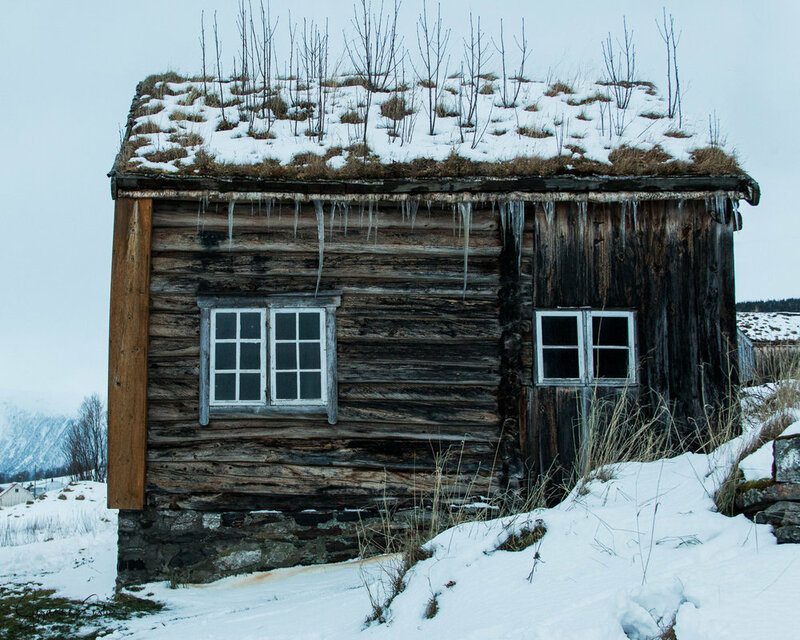 A desolate location, frozen and isolated in the winter chill. The wind howled across the fjord. Frozen blasts full of salt and snowy squalls. Freezing anything exposed rapidly. Stepping into the village, the snow was knee deep, soft and fluffy and being blown around in the brutal wind. The houses, from a distance look colourful and smart but as you get closer the reality is far from it. 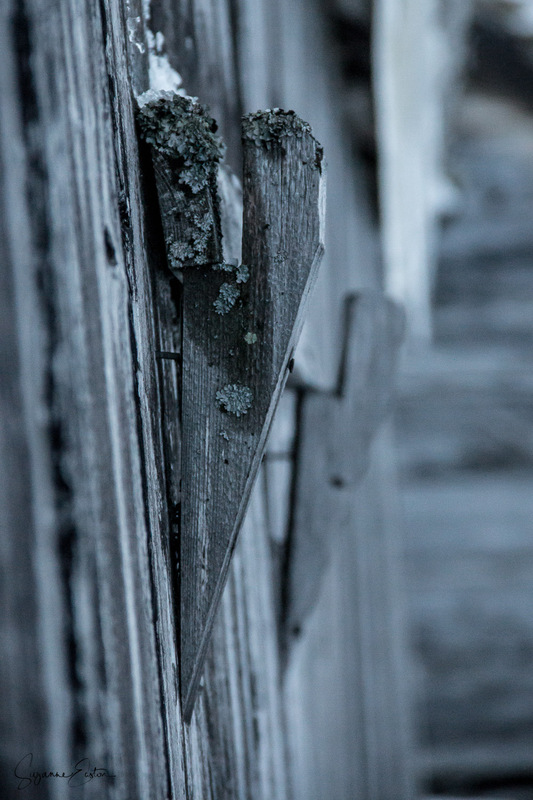 These are weathered and worn. 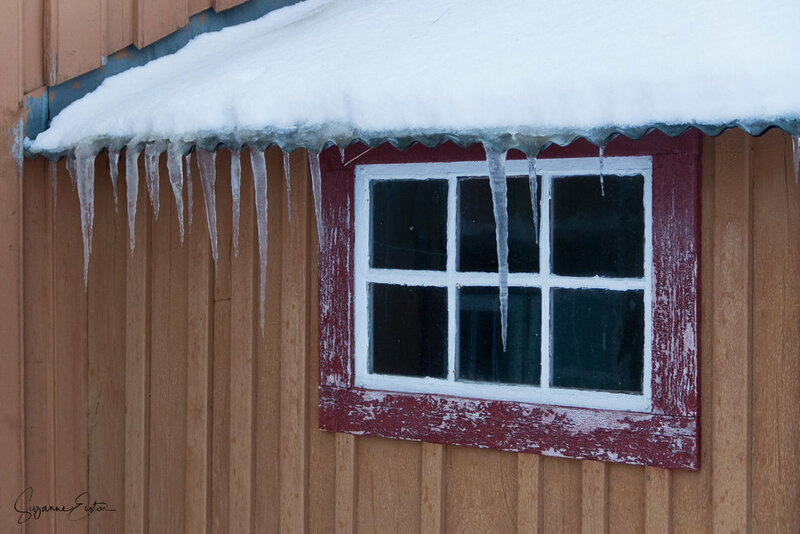 Surviving brutal cold in the winter. Harsh winds and weeks of twilight and no real sunlight. However, this gives them a beauty all of their own. The silver from the birch glistening. The mosses bright green again the dark dampness of the wood on the roofs. Plants growing from any surface they can find. Now dead and dried, surviving as best they can before spring and sunlight arrive in a few long months.